Don’t you love it when you walk into someone’s home, and it smells absolutely divine? 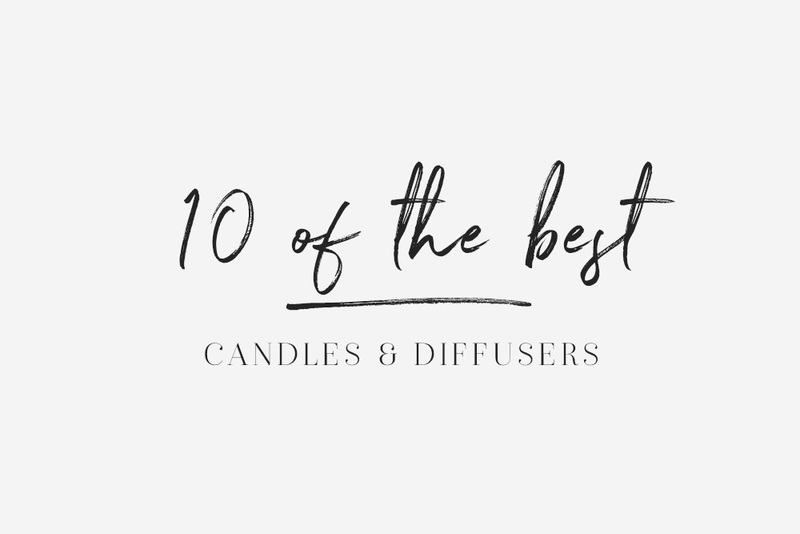 Well, I’m going to share some of my favourite home fragrances at the moment, so you can make your home smell gorgeous too! I’ve put them into three budget categories to make it easier to find one within your budget range – Low, Medium and High. Low means that they are the lowest cost, Medium means they are pretty average, and High means that you might need to take out a small mortgage to buy them. I also calculate the price per gram or millilitre where I can, so you can see how much bang you get for your buck. And please note that prices I state here are as they were when I wrote this, which was in April 2018 – they may have changed since. I was so unsure of this candle when I first came across it. I can only describe the scent as earthy. But it has really, really grown on me – a lovely and somehow calming fragrance. This is something I’d pop in the kitchen and light when I’m writing. 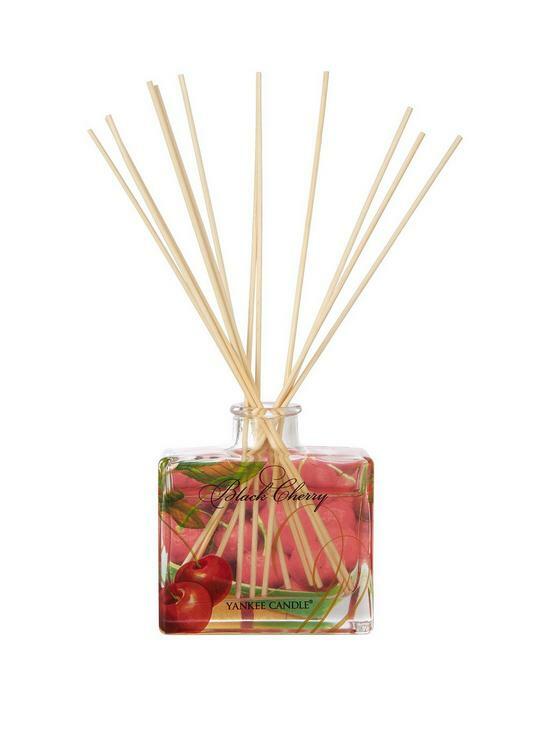 A really fresh scent, almost like you’ve picked fresh tomatoes from your garden. At £25.49 for 650g, it is fabulous value too – that works out at only 4p per gram. This candle is a favourite of mine, purely for the fact that it burns slowly and the fragrance is fairly strong. 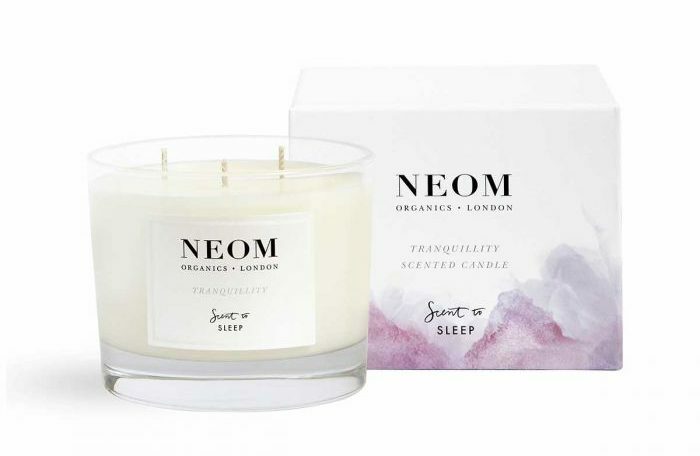 The combination of lavender, basil and jasmine is both dreamy and calming – and Neom claim that this candle can even support better sleep! It comes in a range of different sizes too – the 75g travel version (from £16) is perfect for the spa getaway, and it comes in two additional sizes, 185g and 420g. The largest three-wick size is best value, working out at a pricey 11p per gram. Always light three wicks at a time to make sure your candle burns evenly. I am in love with Lily-Flame products, and I use their diffusers too. Their entire range smells fantastic and is beautifully presented. 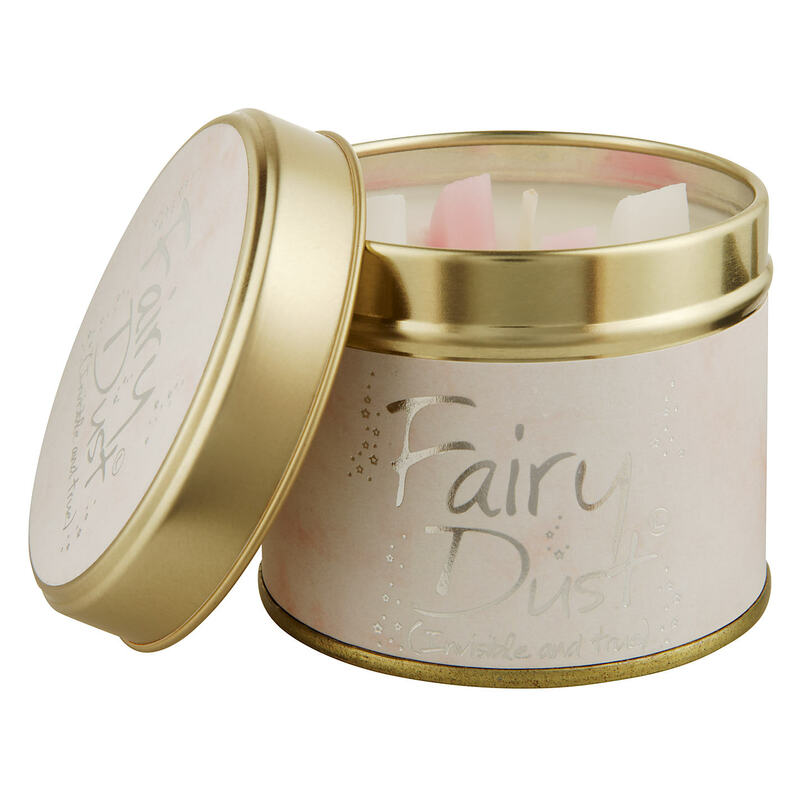 This candle is their most popular one, and the scent is very sweet and slightly floral – their website describes it as “Powdery, Warm, Sparkly and Magical” which I can’t disagree with! The 222g version has a 35 hour burn time, which is pretty good payoff for the size. I love the little pieces of wax that poke through at the top. The only drawback with these candles is that the scent is initially great, but I find it gets weaker as the candle burns down, and you have to be quite close to it to get the full fragrance. At 4p per gram, this is incredible value. 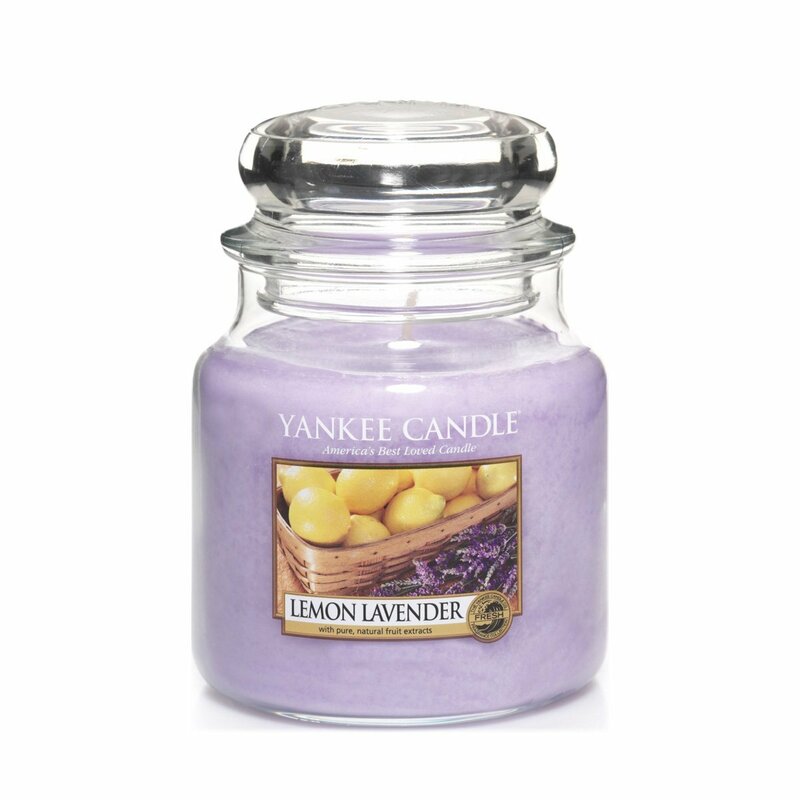 I can’t say I’m a massive fan of Yankee Candle, most of their fragrances seem too artificial to me – other than this one, which smells more natural to me. (Well, the citrus element does remind me a bit of public toilets, but then – I struggle to smell anything lemon-scented now without thinking about toilets. That includes cake. So thanks, public toilets, for ruining lemon cake for me.) The medium jar (411g) works out at 5p per gram, which is fairly cost effective – so if you want a larger candle that will last longer, this is a pretty good option. The burn time for this one is a whopping 65-90 hours, however expect a cheaper wax that will release very little scent over time and you’ll need to be close by to smell. Flippin’ ‘eck this candle smells good. Like, really, really, really good. As with everything in Jo Malone, it smells so good you actually want to eat it, as though the lime and the basil and the mandarin plant are both right in front of your nose battling it out for your attention. This scent is strong, but it doesn’t smell unnatural; it’s fruity but with a peppery undertone of basil. 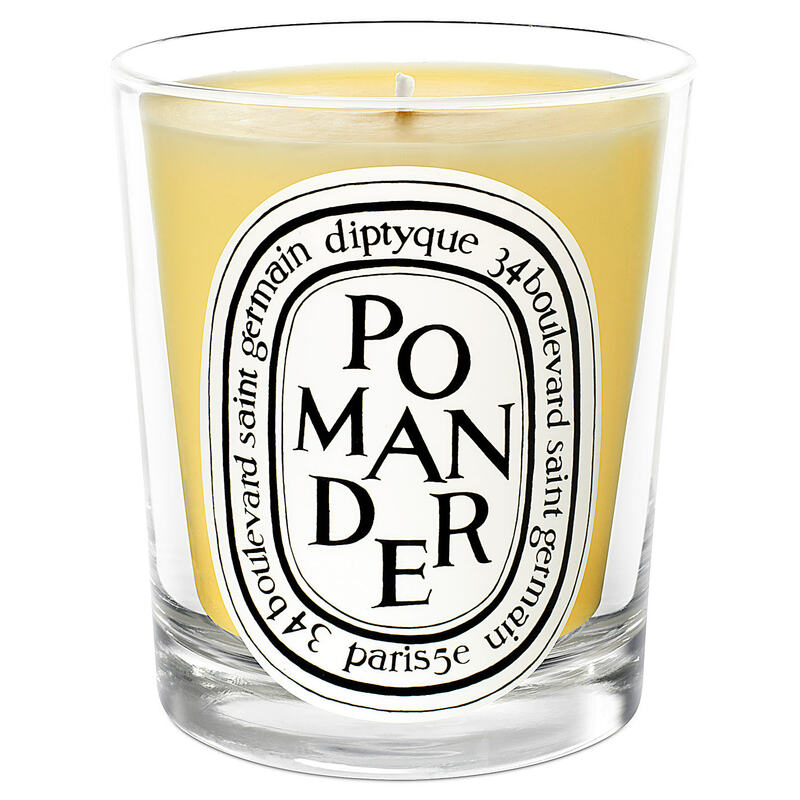 I could write an entire love ballad to this candle and if I could afford it, I’d have one in every single room. The candle burns slowly and releases that refreshing, summery scent gradually and consistently, the sign of a very high quality product. It’s no surprise that the 600g version of this is a terrifying £120 or 20p per gram. I should rename this budget category to ‘so high it actually hurts’. My go-to bathroom fragrance at the moment is this True Grace diffuser. I wouldn’t say it was overly citrussy, but smells refreshing and slightly grapefruity, and comes in a beautiful glass jar. True Grace describe it as “immediately stimulating but yet warm and comforting”, which is exactly what I want in a bathroom, right?! The scent is absolutely beautiful – and lasts! You can make it last longer by using fewer reeds too. 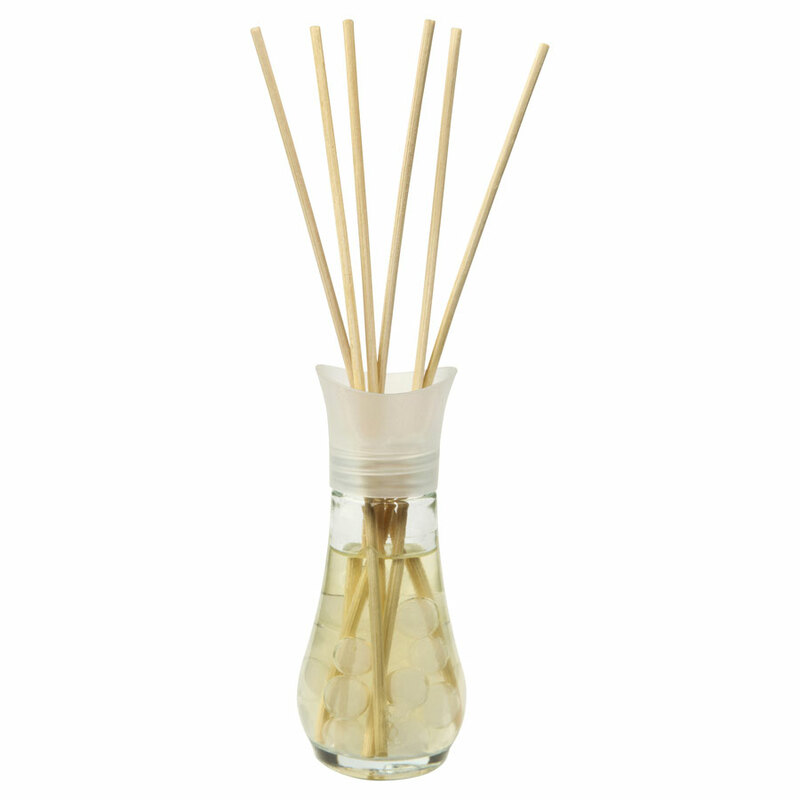 With some diffusers, they smell great to start with, but after a while the scent disappears. This is normally because the reeds aren’t dispensing the product properly, which could be because the reeds are cheap but more likely because of the balance between oil and alcohol in the actual liquid. Get the balance of those right, and you’ll have a scent that keeps on giving for months – just turn the reeds once a week. I buy my diffuser from John Lewis for £36 which makes this 18p per ml for a 200ml diffuser. I know, I’m also surprised I’m including this one – but whilst the smell is more on the artificial side, this little 25ml diffuser really packs a punch! If you need your home to smell decent and it’s an emergency because you have pets, or your friends are coming over and you forgot to take the bin out, or you burnt the toast, or it just smells a bit musty, this little Air Wick diffuser is an absolute lifesaver. If you use all the reeds, it doesn’t last very long (sometimes just a few days) – however it is very far-reaching and is consistently strongly scented. I’ve found it in some places for as little as £4, but its regular price seems to be £7. This puts it at 16p-28p per ml. This is the kind of emergency diffuser you’ll find in small shops – even my local Co-op petrol station shop sells them. The smell isn’t too bad either, it is refreshing and I’d say leans more on the linen/cotton side of things. And it doesn’t smell like magnolia or toilet cleaner, so it gets a big thumbs up from me. This diffuser has a warm, interesting scent, one that smells very familiar. I know a number of people who have had this in their homes and every time I smell it, it makes me feel warm and happy. I wonder if perhaps it might be the fragrance – it has notes of cherry and almond, which means it probably smells a bit like a cherry bakewell, a cake I absolutely love. It’s a shame that the design of their diffusers isn’t more fancy; I find the coloured cherry illustrations a bit tacky and I’d much prefer it if the jar were more plain, so it would be easier to fit in with my decor. This 399g diffuser is supposed to last for up to 8 weeks, but I’d suggest using more reeds as the scent is a little weak, which will make it last about a month. At £12.35, it works out at an astonishingly cheap 3p per gram. I am absolutely hooked on Diptique perfumes and I am absolutely devastated that my favourite perfume is being discontinued. This hasn’t stopped me from perusing other gloriously scented items, including their range of candles. The salesperson at Liberty of London showed me that to get a good idea of the scent, you tap the bottom of the candle tester so the lump of wax falls out and stick your nose in the empty jar – the scent is much, much stronger. I love most of their candles, but the Pomander scent is one of their unusual ones – it reminds me of Christmas and cold nights and sitting in front of an open fire. The scent is quite woody with spicy clove and orange scents. It burns well, and smells absolutely amazing. A 190g candle is pretty steep at £45, which makes it 24p per gram. My wallet is crying, but my nose says “but it’s worth it because my house smells so beautiful”. Anyone else love H&M’s homeware range? I am OBSESSED. 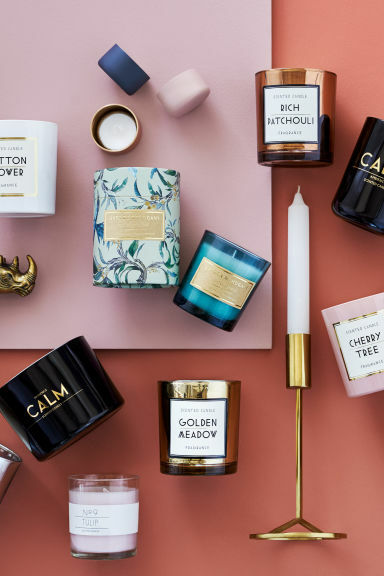 They have a range of astonishingly pretty – and cheap – candles that sadly keep going in and out of stock. This patchouli candle has a rich woody/spicy smell to it, and whilst it is a bit weak, I still catch wafts of it whilst I’m working, it’s just a bit intermittent and you have to be close to appreciate it. The patchouli candle has come in a variation of sizes and styles; I bought it in a turquoise jar last year, but I am in love with this copper version! Very stylish – and incredibly good value at only £6.99. The burn time is listed as 30 hours, although I’d say that was pretty optimistic as it burns quickly. No grams were given on H&Ms website, but at 9cm tall I estimate it to be about 180g, which would make it just under 3p per gram. This is the kind of candle that looks about three times more expensive than it actually is – I am so impressed. If you’re on a restrictive budget, my winner winner chicken dinner is the H&M patchouli candle – at only £6.99, it’s a real steal. H&M candles aren’t the best fragrance-wise – so if this is mostly for show, you really can’t go wrong with this copper beauty in your home. 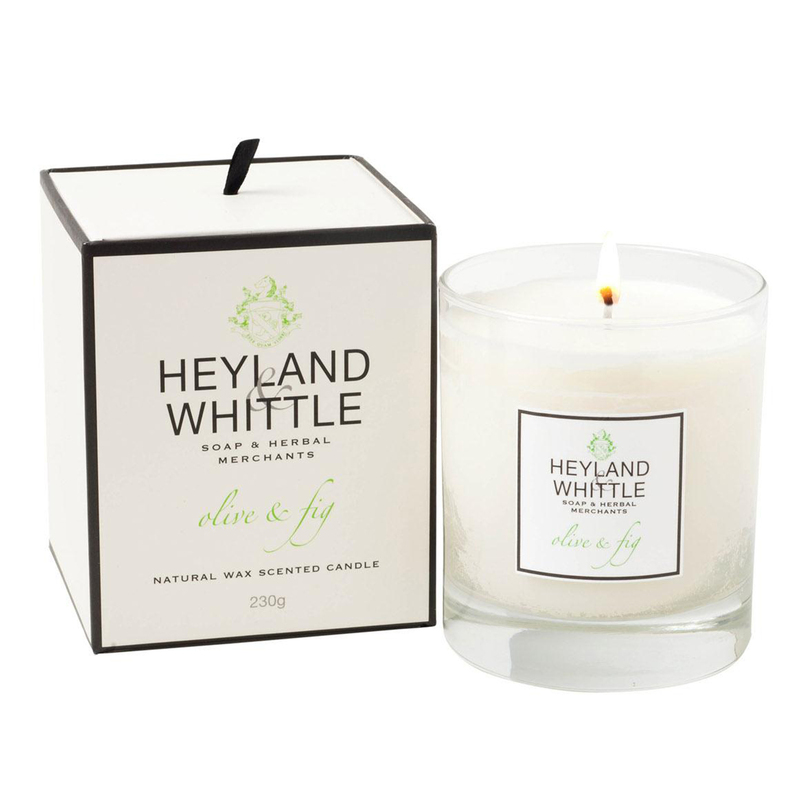 The best buy hands down for me is Heyland & Whittle’s gorgeous Olive and Fig scent. With great tradeoff between price per gram and strength of the fragrance, this really is the true winner. 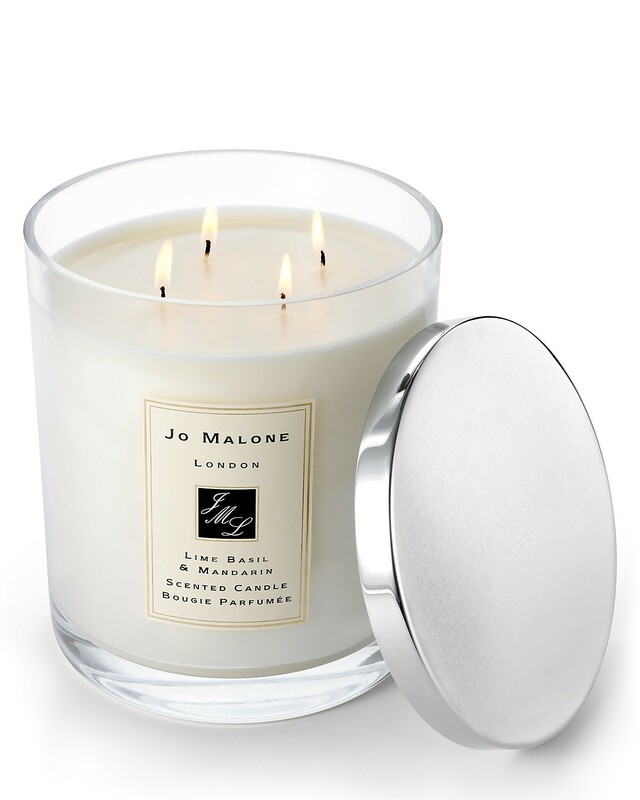 Jo Malone might have my heart, but the price tag of this one is far more reasonable. This might not be the cheapest from the list, but I think it is very much the best value. Which candles and diffusers do you use at home? Do you have any favourite scents, or brands that you’d recommend? I’d love to know! Message me, or add a comment below.